The Start (CTAPT in Russian) is a very special Soviet made camera. It was designed and built as a professional "high class" SLR. These cameras have an excellent workmanship and finish. 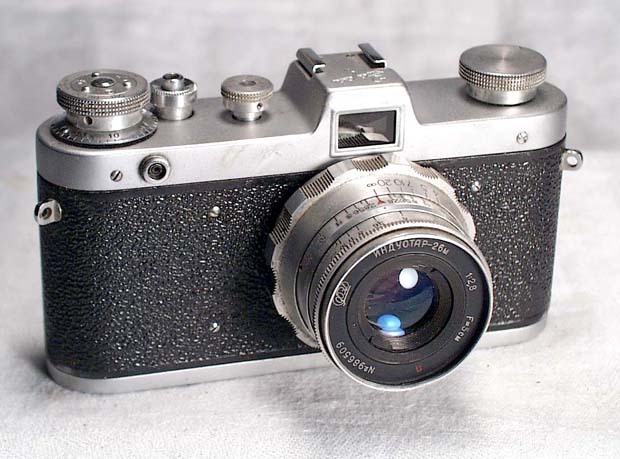 It stands out in a row of the Soviet SLRs - it is the only "non-Zenit" reflex made by the Krasnogorsk plant. The Start has a solid and sturdy cast body, a removable pentaprism and a fast lens. J. L. Princelle called it a T-34 (tank) in his book "Made in USSR". It is quite large indeed and weighs over 2 lbs. Only 76,503 copies were made in 1958-1964. 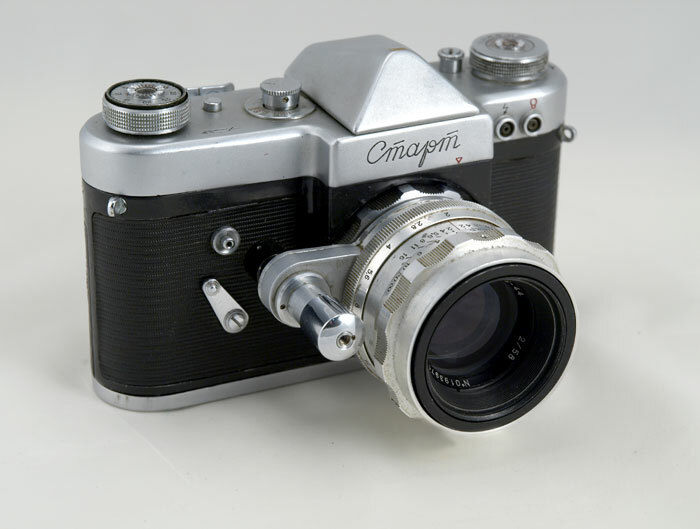 This camera was very expensive at its time, it cost around three monthly salaries of an average engineer in 1961. Not too many people could afford it, so the government decided that the people needed something simpler and cheaper, and millions and millions of mediocre Zenit-E's were made. Lens - Helios-44, F=58 mm, 1:2, coated, bayonet mount, Exacta type, (not compatible with Exacta). The lens has an original aperture setting mechanism, the aperture is set when the shutter release button (mounted on the lens) r is depressed. By rotating this button the aperture can be set permanently. When the shutter is not cocked, you can use the release button on the lens for the depth-of-field preview. Self-timer. This also works as a mirror lock-up (see below). The Start is equipped with a knife, so the film can be cut inside (when using two cassettes). Another nice feature of the Start is a mirror lock-up - the mirror goes up when the self-timer button is depressed, the self-timer itself does not have to be wound. 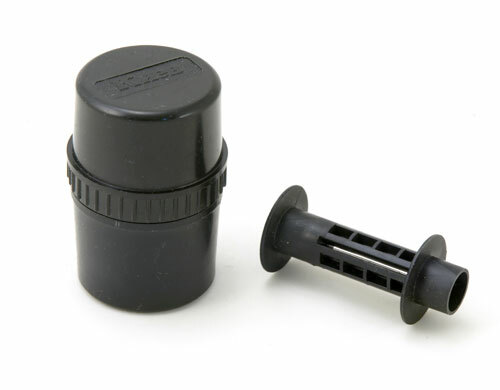 The shutter then can be fired by pressing its release button. This camera was made in 1961. It is in good condition, with a brassing spot on the top of the prism and tripod marks on the bottom plate. The herringbone leatherette is clean and complete. The camera comes with a very impressive leather case, which was also built to last). This is a great sample of this remarkable camera.